A Diamond Select Toys release! Harley Quinn is the woman of the hour, the year and the decade, and this all-new PVC diorama captures her latest comic book appearance, with her corset, trademark hammer and red-and-blue pigtails! 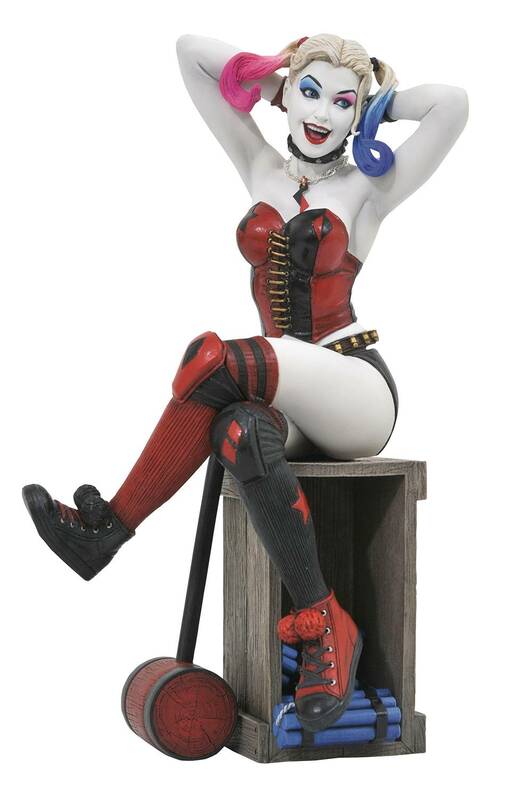 Sitting atop a crate of dynamite, Harley measures approximately 8 inches tall, and is made of high-quality PVC plastic with collectible-quality painted details. Packaged in a full-color window box. Sculpted by Jean St. Jean!.